Doesn’t matter if you are camping, hiking or doing a jungle run, you’re going to have to stay hydrated. Hydration packs, however, can be cumbersome. But thanks to some impressive designing, the GoRuck 3L Low Profile Hydration Bladder is streamlined to tackle any situation without dragging you down. Comfortable, lightweight, and the ability to attach it via carabiner or MOLLE, makes the GoRuck Hydration Bladder a premium hydration system. 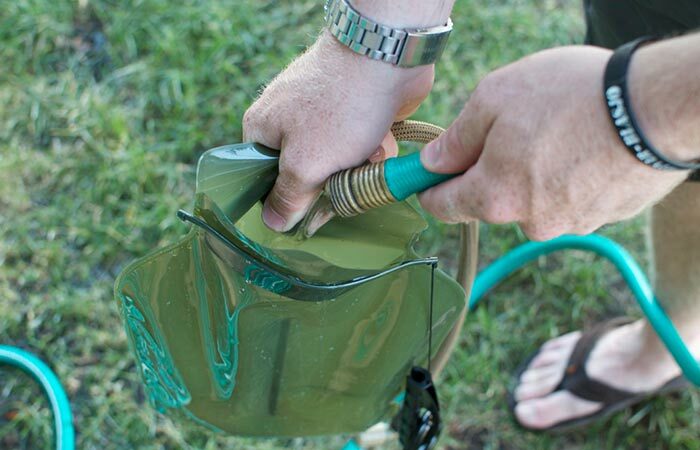 Filling it is simple, and easy, and when in use, it has an airtight seal at the top. It also comes with a patented slide closure that allows for an airtight seal when in use, and super simple draining and cleaning through the top. In addition to this, it also features antimicrobial technology. This prevents bacterial growth, eliminates the need for constant cleaning, and keeps you healthy. Check out the video below. 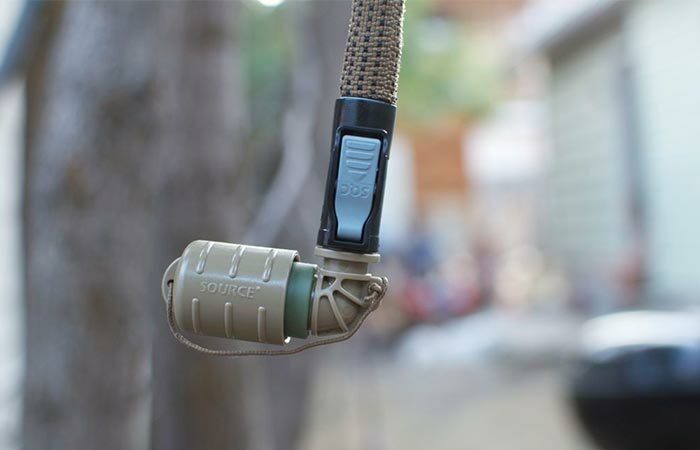 The mouthpiece of the GoRuck 3L uses an automatic shut-off mechanism. It also comes with a cover to stop dirt and grim from entering it. To further enhance the ease of your hydration, the GoRuck comes with a no-bite push-pull valve that has an integrated shut off mechanism. It also has a protective cover to block dirt and grime from entering the mouthpiece. To ensure that your hydration bladder has a long lifespan, it comes with a angled valve that can turn 360 degrees, as well as a Cool Weave Tube Cover that protects your tube, while keeping your drink cool. Check out another awesome hydration bladder here.